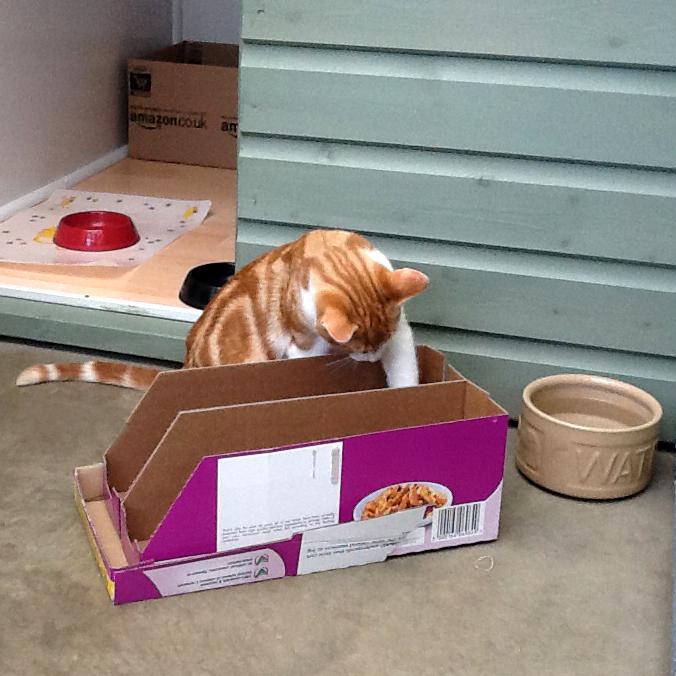 We run a small, modern, comfortable and very quiet cattery in Oakham, Rutland. Because it’s in our walled garden, it’s very secure and easily seen from the house. We only take cats – we have no other animals. We are animal lovers and passionate about cats. 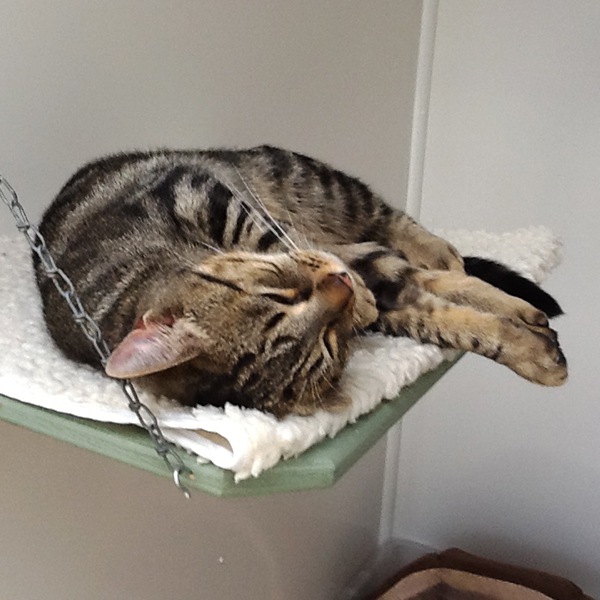 We have been regular volunteers at an animal rescue centre for some years, so we have experience of our feline friends. We also have our own cats so we understand how important they are as part of the family. As a husband and wife team, we will look after your cats as if they were our own, getting to know them very well and vice versa. We will give each cat in our care individual attention to make sure that it settles, eats regularly and is made to feel at home and we will become sensitive to any changes in health or behaviour. Each pen consists of an insulated, plastic lined, heated cabin with an exercise run. These are kept spotlessly clean and visitors regularly comment on how bright and fresh it looks and smells. We supply individual beds and freshly laundered fleece bedding (although you are welcome to supply your own). All bedding is machine washed at 60˚C when your cat leaves. During occupation, each pen is cleaned daily and litter trays are checked and cleared several times a day. All food dishes are thoroughly washed after every meal. When a cat leaves, every inch of the pen, both inside and out, is disinfected with an animal friendly high level surface disinfectant. We have an arrangement with a licensed waste contractor to regularly remove waste from the site. We supply a wide choice of food both wet and dry (and treats if allowed), but if your cat is on a special diet we ask that you supply the food. Fresh water is always available to every cat. Every cabin has a safety heater. These are all individually controlled so that we can be sure that even elderly cats are comfortable at all times. No extra charge is made for heating. 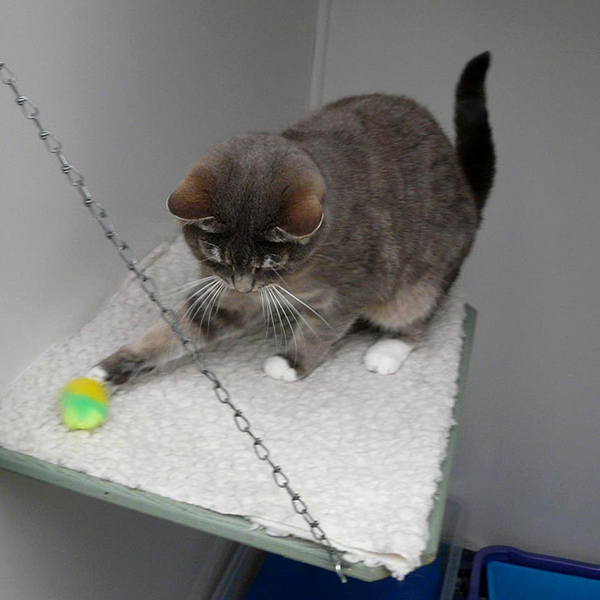 We try to make sure that each cat has some toys to play with, such as ping pong balls or even rolled up paper. Most cats love catnip, and we often play chase the laser light. You are of course most welcome to bring some favourite toys with your cat. I prefer you to meet me and view the cattery prior to booking as this gives us both an opportunity to discuss any concerns either of us may have about your cat’s care. I am happy to make an appointment to see you outside my opening hours. On or before your cat’s first stay, I will ask you to complete registration forms with details about you and your pet. This is important to enable me to become familiar with the cat and give it the best possible care in your absence. I keep detailed records of every visit and every cat that has stayed with me. To safeguard all animals, I need to see a current vaccination certificate every time you check your cat in. I cannot accept a cat without this certificate. Please also ensure that flea and worm treatment is up to date. Space is limited, so I may ask new clients for a deposit, especially in peak periods. Please give me maximum possible notice if you have to cancel or change a booking. Bookings may be requested by email but will not be valid until you have received my confirmation. When you bring in your cat please allow time to update the information I hold on file if necessary. Often people come back early from holiday. As long as you let me know beforehand, I am happy for you to collect your cat early, but I hope you will understand that I will need to charge you for the period originally booked. The boarding fee for 1 cat is £9 per day, including the day of arrival and the day of collection. 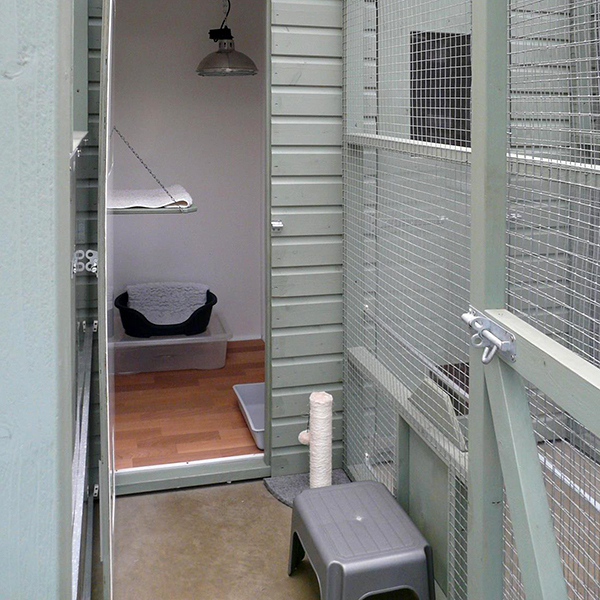 Each additional cat sharing the same quarters is charged at £6.50 per day. Cats will only be boarded together if they are from the same home and with your express permission. Payment may be made on collection by cash or cheque. By agreement, payment can be made electronically prior to collecting your cat. Sorry, I don't take cards.